TAX SANSAAR is the flagship initiative for financial consultancy in the field of mutual funds, loans, insurance and other areas of GST and many more in helping people protect, grow their wealth by judicious tax planning. A serious venture to start application of financial tax and accounting techniques and finally delivering target oriented financial consultancy services to society. It is our deep personal relationships with clients that truly set us apart. i) Need Analysis: "Know Your Client" principle is at the heart of our business. We believe that we need to know our client's risk profile, basic financial situation, to help them the right selection of the products/schemes. ii) Scheme Selection: We will use our best judgment and ability to present you with the best of the breed investment schemes to choose from. iii) Efficient Execution: Our service really begins when you have completed your first transaction through us. Our aim is to be continuously be in touch with you with new offerings. 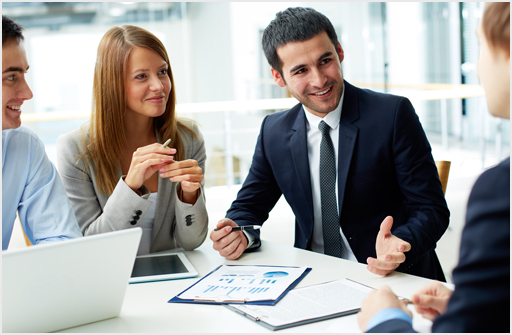 IPSPL is a advisor of financial products and is remunerated by the consultancy services. IPSPL is not an Investment Agent or a Financial product seller. iv)Incredible Range of Financial Products: As distributors of financial products, we are truly unbiased in scheme selection and help you in efficient execution of your transactions. v)Hassle-free administration: We Provide timely updates, regular portfolio reviews and 24x7 online call centre support to keep your investments on track. TAX SANSAAR aims to be the most useful, reliable and efficient consultancy provider of Financial-Tax-Accounting Services. It is our continuous endeavour to be a trustworthy partner to our clients, helping them protect and grow their wealth, and achieve their life goals. To always give honest and unbiased financial solutions and earn our cilent's everlasting trust. To serve the community by educating individuals on the merits of investments and in turn help shape a financially responsible citizen. Our vision is to be the most preferred Tax advisory services company in India by providing clients with informed choices of lasting value, protect and grow wealth for them, to make their tomorrow better than today. TAX SANSAAR - Our values - Our ethics in business. We listen carefully to our clients to understand their needs. We work conciously, without blowing our own trumpet. We explore all avenues to provide the best tax planning opportunities for our clients. We explore all avenues to provide the best tax planning opportunities for our clients.We help our clients to attain financial stability through a balance between risk and rewards.